Enough of this ‘Prince of Darkness’ stuff. I own a Healey that did LeMans 24 Hour three times, 1966-68 and Sebring 12 Hour twice ,1966 & 67 which is about 11,000km of race kms. 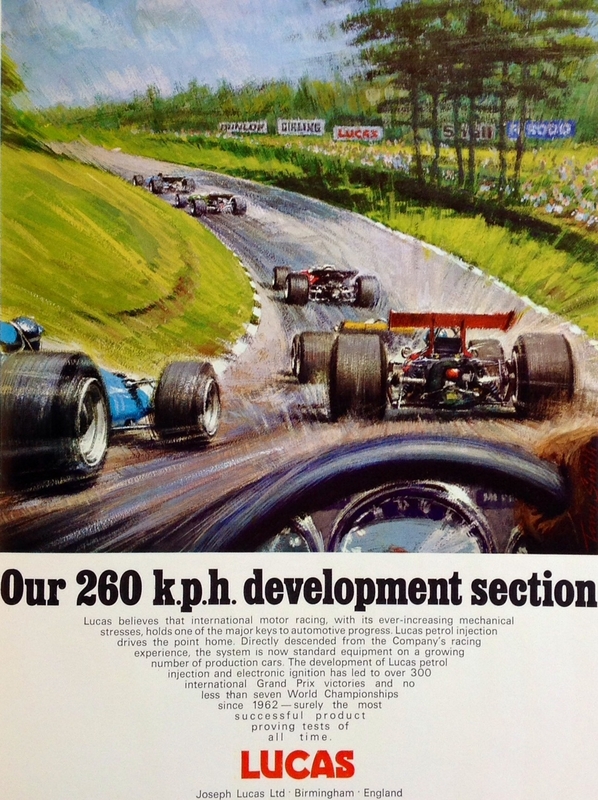 Additionally the 1968 LeMans event was with Lucas mechanical fuel injection. The other Healey did the 12 Hours in 1965 when it poured rain and Joseph continue to fire on all 12 volts. It all started with a standard Healey in 1966 and another in 1972 prior to ‘credit card’ spares and resto. Joseph Lucas always got me home. A big plus is you can check power by swiping your wire of choice against something metallic and smile with the fat blue spark without blowing some relay or circuit board.